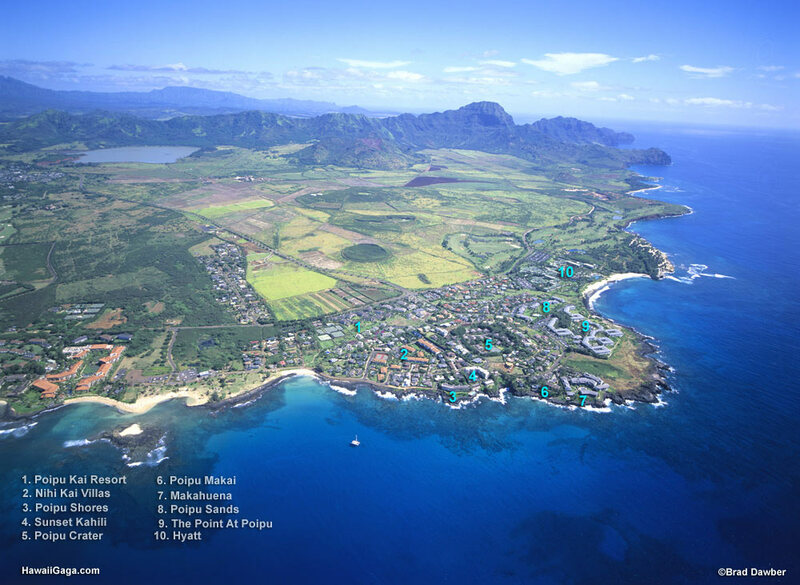 Poipu Sands is a part of Poipu Kai resort, a scattered 70 acre resort with several distinct developments. 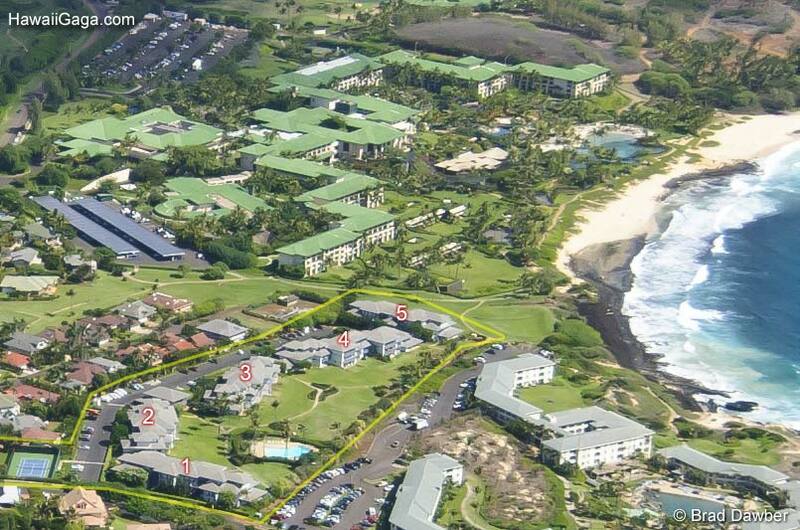 The Poipu Kai affiliation can be a little confusing, but the below photos will show you the location of Poipu Sands within the resort. 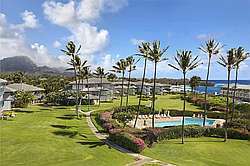 Like other developments here, Poipu Sands has its own swimming pool (they don't share pool access). 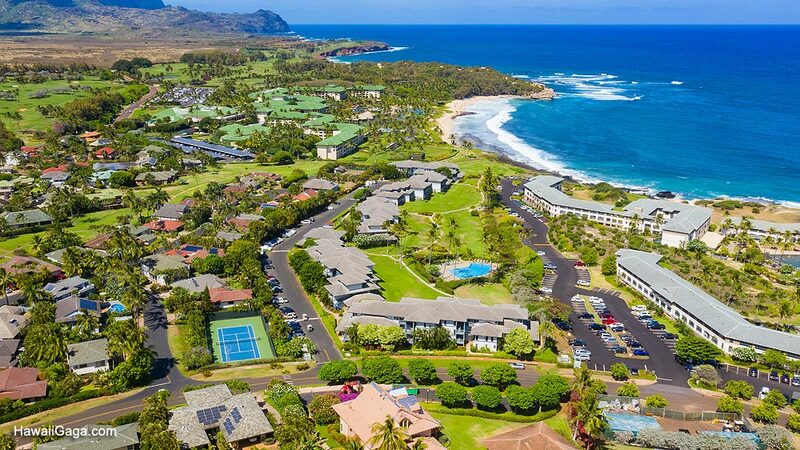 And like everybody else, you have access to the 9 tennis courts of the Resort for a fee, although Poipu Sands also features its own tennis court. 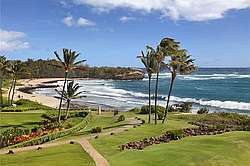 Shipwreck beach is right next to the complex, with the lovely Mahaulepu trail starting just beyond the beach. 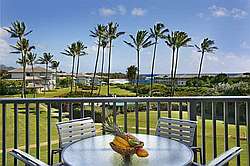 Poipu Beach Park is a 15 minute walk or very short drive away..
People choose Poipu Sands for the large units, close proximity to the Hyatt and Shipwreck beach, spacious grounds and nice swimming pool. 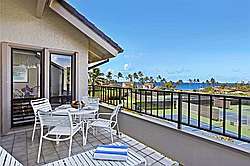 Some units at Poipu Sands have ocean views.. 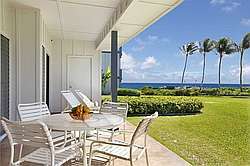 There are MANY Oceanfront Condos on an island but Very Few BEACHFRONT rentals. 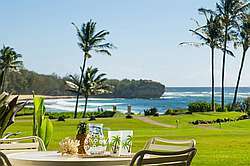 Enjoy Surfing the web while watching locals Surfing in Keoneloa Bay at Shipwreck Beach only 50 yds from your door. 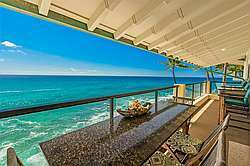 Enjoy Awesome Sunrises + Feel the Breeze of the Trade Winds from within the condo..
ONLY 100 yards from Shipwreck Beach on Kauai's South Shore, this recently updated, ocean view property has a private master suite, spacious guest bedroom and two bathrooms. Specials: Free mid-size car while cars are available. Not valid with any other special offers. 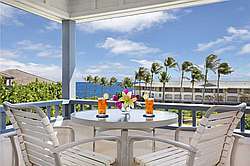 Amazingly beautiful is the term used by many to describe this wonderful Poipu Sands condo. 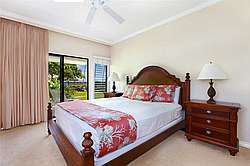 Warm toned furnishings and stately canopy beds paired with brilliant tropical touches bring this condo to a level of quality rarely seen. 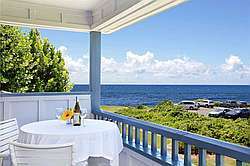 Lovely 1 bedroom condo only 100 yards from Shipwreck Beach. 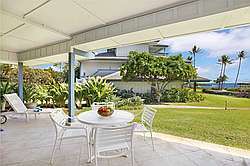 Walk to the Grand Hyatt within minutes from this beautifully decorated 1600 sq. 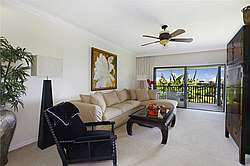 ft., second floor 2-bedroom, 2-bath condo. 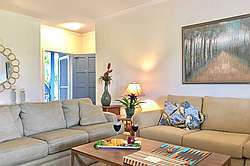 Spacious living area and guest bedroom are located at the entry level with a large private master bedroom and bath upstairs with ocean views. 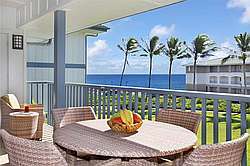 This two story condo offers a wonderful ocean view and dramatic sunrises overlooking Shipwreck Beach. 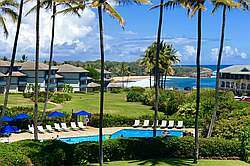 2 bedroom ground floor condo with 2 king beds, only 100 yards from Shipwreck beach. 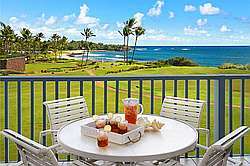 If you want a location convenient to surfing or basking in the sun on the beach in sunny Poipu, Kauai this spacious and well-appointed Poipu Sands one-bedroom condo is it! 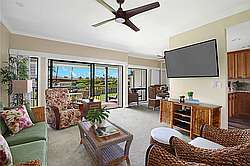 Enjoy stunning ocean views and trade winds from the living room and lanai and all the comforts of home. 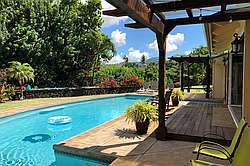 This wonderful 1580 sq. 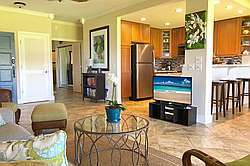 ft., 2 bedroom/2 bathroom condo is only 100 yards from Shipwreck Beach. 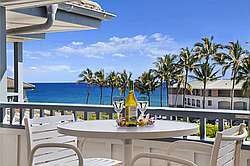 Amazingly beautiful is the term used by many to describe this wonderful Poipu Sands condo. 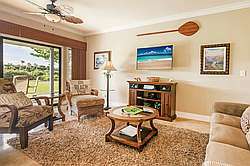 Warm toned furnishings and stately canopy beds, paired with brilliant tropical touches, bring this condo to a level of quality rarely seen. 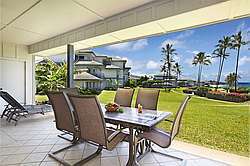 This ground floor ocean view condo features a private lanai where you can sit back and enjoy ocean breezes while taking in the beautiful island views. 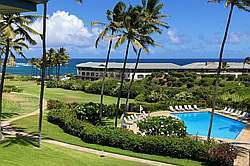 Three large bedrooms and three large bathrooms make #422 the perfect family getaway. 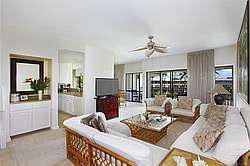 The master bedroom and ensuite are located on the second level of this large condo. 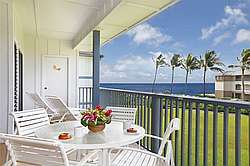 The master bedroom has a king bed and a private lanai with ocean views. 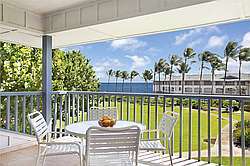 Ocean front ground floor 1 bedroom on the Poipu greenbelt. 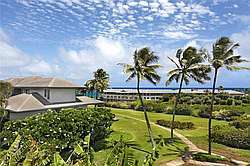 This 1000 square foot, ground floor ocean view condo features a private lanai where you can sit back and enjoy ocean breezes while taking in the beautiful island views.